We love them, we depend on them, we fill our homes with them - but how much do you know about mobile phones and other wireless devices and the radiation they emit? `Smart' families are exposed to wireless radiation from `smart' devices. 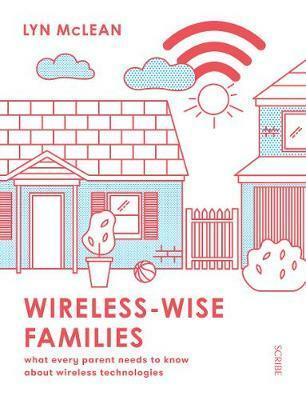 `Wise' families make informed decisions about using wireless technologies safely. This book, by consumer advocate and educator Lyn McLean, shows you in simple, practical terms what you need know to live wisely in our ever more connected world. Lyn McLean is Australia's foremost consumer advocate on the issue of electromagnetic radiation (EMR). An author and educator, she has been monitoring and writing on the subject for more than 20 years. Lyn is the publisher of the quarterly periodical EMR and Health and the author of Watt's the Buzz?, a guide to reducing exposure to EMR. She has served as a representative on various national committees related to this issue and is currently the director of EMR Australia, which provides services and assistance in connection with electropollution.